Our world has been through a time of upheaval in which wars and natural disasters have vied with global recession to grab the headlines. We are by no means out of the storm but whilst the headlines have been held by global events, a far more life changing shift has been bubbling beneath the surface as the attitudes and ethos and expectations of people have started to change. The drivers for this change are threefold. Firstly, we have seen a marked change in the way in which people view authority. Governments, regulators, even large organisations such as financial institutions or pan-global corporations have lost credibility as the public apportion blame for the financial crash. Where once we accepted, now we question; where once we believed that those in a position of power would do the right thing, now we look again with sceptical eyes. 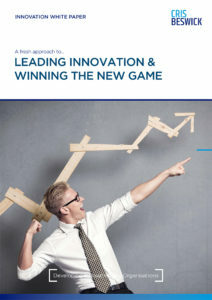 To redeem themselves organisations simply cannot go back to ‘same old, same old’; they have to not only change but to make that change so radical that the public is left in no doubt that the old order of short term profiteering is over and that the new name of the game is longevity, stability and co-creation.